A man returns home to confront his abusive stepfather. Tackling difficult subjects on film is never easy; it’s about finding the fine line between what’s realistic and what serves the film dramatically, and trying to avoid any pitfalls that’ll lead you to misrepresent it. 90 Feet from Home focusses on domestic abuse and although it stumbles at the opening, it makes a very impressive turnaround. Scotty is a young boy suffering abuse at the hands of his stepfather, James. Years later, he returns home, a bitter and broken former major league baseball player, to finally confront his stepfather for all the pain that he suffered. 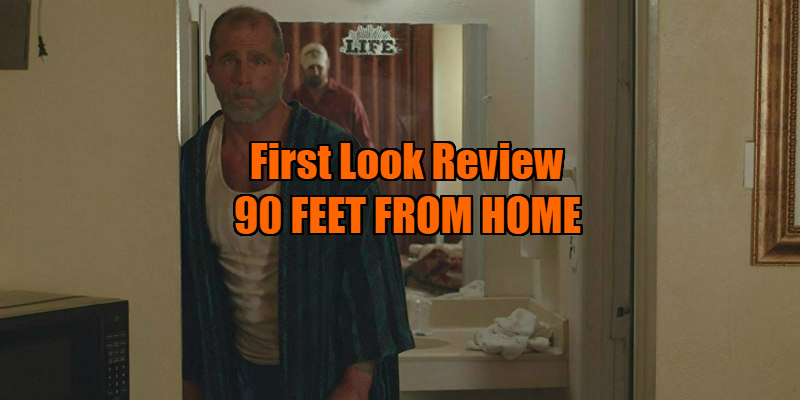 The first act of 90 Feet from Home is a little bit difficult to take seriously; it suffers from cheesy dialogue and hammy performances, which make it just that little bit harder to invest in, and it almost feels melodramatic. 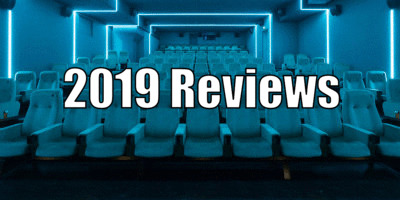 Of course, I have no doubt that this was far from the intentions of writer and director Brett Bentman, who surely wouldn’t approach such a serious subject matter in this way on purpose, but the material just suffers from an unfortunate execution. And while it’s completely unimportant, Eric Roberts’ small turn as the school principal is perhaps the strangest thing about the film. I mean, the man already has such a bizarre filmography anyway - I’ve never looked at him the same after his voice performances in A Talking Cat and The Great Halloween Puppy Adventure, which are definitely worth seeking out for a laugh - but this tiny role being played by someone as distinctive as him sticks out like a sore thumb to the point that, while it has no real impact on the film, it’s impossible not to notice. Thankfully, the film’s quality dramatically shifts once we move forward in time to an adult Scotty coming home. Adam Hampton gives an excellent performance as a man haunted by his trauma; it never leaves him, no matter what he’s doing, and something as simple as a facial expression tells the entire story of his past at any given time. His return sees a fractured relationship with his brother, several encounters with a weary James, and keeping a watchful eye over a young baseball player. The writing of these scenarios is often strong and, if anything, made me retroactively appreciate the film’s first act even more. Seeing the effects of this lifelong abuse added an extra level of depth to young Scott’s story that didn’t seem to be there on first viewing, or maybe was there but not immediately obvious. WWE wrestler Shawn Michaels also gives an impressive turn as the monstrous James and, while I won’t spoil the trajectory of his character’s storyline, he handles the narrative shift effortlessly. It should be said that I am by no means qualified to tell you what is or isn’t a realistic portrayal of abuse, and I wonder if many others will find something in this film that speaks to them. That’s just my take on the film’s opening, but I can gratefully say that 90 Feet from Home is otherwise an impressive film. Not every line suddenly becomes perfect and not all of the performances stick the landing either, but the ones that do are incredibly effective and make the film an emotional and engaging experience. 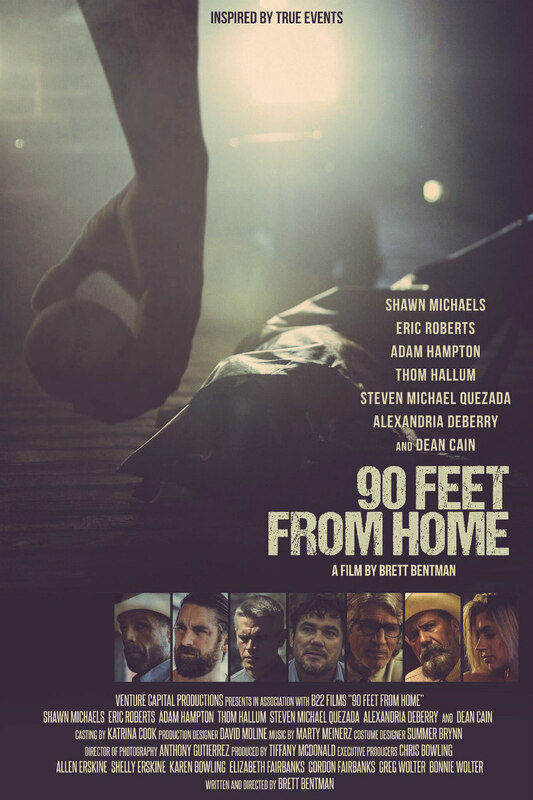 90 Feet from Home is in US cinemas Summer 2019. A UK/ROI release has yet to be announced.